Today, the Republic of Hungary, an EU and NATO member country, responded positively to my previously submitted request for political asylum from political persecution in the Republic of Macedonia. In the request for political asylum, I stated that I am looking for the same because of political persecution of the new government led by the SDSM party. I stated that the government wants to take my freedom away using undemocratic steps and methods and abusing the prosecutorial and judicial system in Macedonia. I explained how it began, with the beginning of the publication of the illegally acquired audio materials, the appointment of a special public prosecutor who became a party tool of the SDSM party, just like the court, I described all the injustices, irregularities, illegal working, discrimination, constructed trials and judgments , the specific court proceedings against me and the torture that after the establishment of the new government I and many other of my associates suffer, giving concrete examples and concrete evidence and ending with the numerous threats to my own life that I was facing in the last days before I left the Republic of Macedonia. I pointed out and provided concrete examples that in the Republic of Macedonia there are no conditions for a fair and legal trial, nor in a way in such an atmosphere of political hajka by the government to protect my life from the numerous threats that were addressed to me. In Macedonia, I faced judges who, for every mine or my defence’s request, are waiting for instructions on how to decide from the government or the special public prosecutor, from whom the judges themselves are afraid, and whom they see as a representative of the current government. I have explicitly explained several fundamental violations of laws, among which, contrary to law, the use of illegally acquired audio materials, which under the external pressure has been declared by the court as legal, the use of copies that are not compared with the original as evidence on the basis of which the judgments are based, the use of experts who, contrary to law, make expert reports without a license for expert witnessing, a flagrant violation of the privacy law and the court’s ignorance of all of this, the work of the Macedonian courts contrary to the practice and the Court of Strasbourg, as is the case with the rejection of the acts of interruption of proceedings issued by the President of Macedonia in two specific cases, and their acceptance into an EU Member State, the failure to provide the opportunity and sufficient time for the defense of the defense through conscious compiling trials every day, sometimes for days, the issued opinion of the Commission for Protection against Discrimination that stated that I am subject to direct discrimination by Judge Dobrila Kacarska and by the Basic Court Skopje 1, the publication The verdict of the “Tank” case in the sense that I will be found guilty by the incumbent prime minister about 10 days before the judge announces the decision, and a myriad of other facts and evidence that I have explained and from which I have made a huge a record of over 30 pages. The court and the prosecutor’s office turned into an instrument of political blackmail and calculated with political opponents, as well as covering the failure of the government. 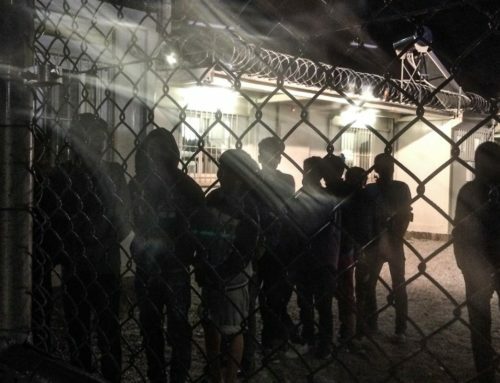 The recent detention of Mile Janakieski and Kiril Bozinovski, who are apparently detained only for the government to alleviate criticism after my departure from the country and seeking political asylum for political persecution, with false, fabricated and non-existent evidence only confirm the atmosphere in which the Republic of Macedonia lives today. 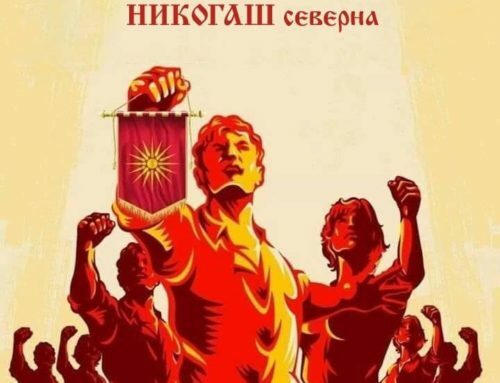 Today, the Republic of Macedonia lives in conditions of government repression, discrimination, persecution, political arrests and full control of the government over the judicial and prosecution system, removal and detention or imprisonment according to political circumstances and needs. Instead of advancing the judicial system, Macedonia has a downturn. The court and the prosecution are used as a political tool of the government for the purpose of achieving their political goals and blackmail. I decided to oppose all this, and with my step to raise this issue at a higher level. 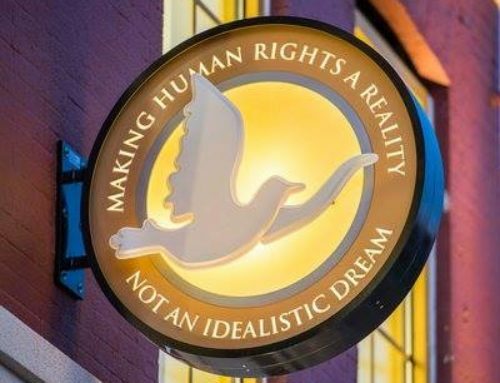 Someone can like me or not like me, agree or disagree with me, may believe that I am promoting good or bad policies, but cannot deny or turn a blind eye to what is happening in Macedonia in this period I speak of. I decided not to fulfil the desire of SDSM, while they plunder and sell the state and national interests to be closed with a political decision and to fight daily for survival in the prison, where I got to know that I was preparing for liquidation. 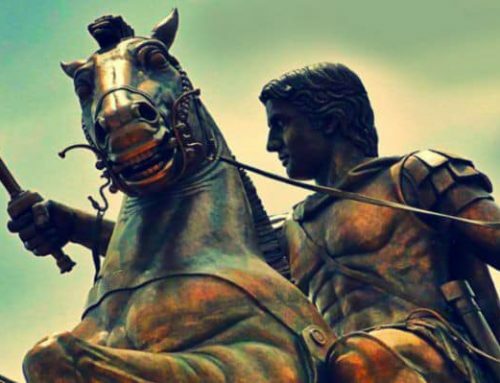 I decided to continue the fight for the Macedonian cause, for the cause of the Republic of Macedonia, in a way that I can only do at the moment, in a way that many other people through history had an opportunity to do. And as I said in the previous announcement, I will never give up on that cause. I have not run away from justice, but I am using other internationally legally regulated methods. I will continue to seek justice for myself and all other victims of political persecution in Macedonia. Up until the last moment, although I watched how unjustly they accused me and tried me, although it was visible that the judges before the trial started and before they read the evidence, knew the verdict, daily, as no one has ever faced justice until the moment when the current government has not decided unfairly and with a political decision to put me in jail and then liquidate me. I publicly stated that I am ready to go to jail if Zaev turns down from the devastating policies for Macedonia and the mistreatment of other people. But he obviously wants everything. It wants to realize the sale of national interests, and to realize the plundering of the state, and to judge and condemn hundreds of my associates and to shut me up and destroy me. I decided to fight and confront this coward who lazily deceives and steals from his people daily and abuses the state function that he came into illegally. Macedonia must not remain a country where the government rules the judicial system and where there is political persecution every day. A huge number of people are currently under political persecution in Macedonia. It must stop. 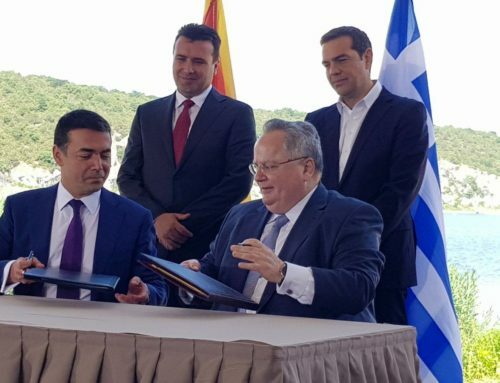 Macedonia should become a member of NATO and the EU, but it should not be allowed under the guise of this goal that the current undemocratic powers be calculated with the political opponents and constructed court cases and prison sentences in order to be able to commit crime, corruption, and the sale of state and national interests.